The challenge for computational rheologists is to develop efficient and stable numerical schemes in order to obtain accurate numerical solutions for the governing equations at values of practical interest of the Weissenberg number. This study presents a new approach to preserve the symmetric positive definiteness of the conformation tensor and to bound the magnitude of its eigenvalues. The idea behind this transformation lies with the matrix logarithm formulation. Under the logarithmic transformation, the eigenvalue spectrum of the new conformation tensor varies from infinite positive to infinite negative. However reconstructing the classical formulation from unbounded eigenvalues does not achieve meaningful results. This enhanced formulation, expressed in terms of the hyperbolic tangent, overcomes the failure of alternative formulations by bounding the magnitude of eigenvalues in a manner that positive definite is always satisfied. 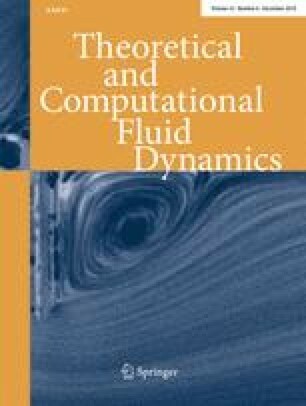 In order to evaluate the capability of the hyperbolic tangent formulation, we performed a numerical simulation of FENE-P fluid in a rectangular channel in the context of the finite element method. Under this new transformation, the maximum attainable Weissenberg number increases by 21.4% and 112.5% compared to the standard log-conformation and classical constitutive equation, respectively.